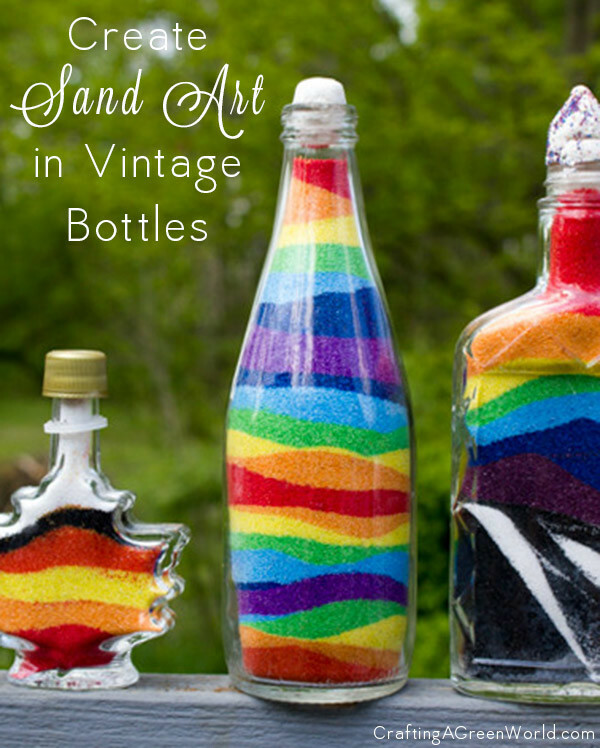 One of my children’s favorite projects to do with these vintage bottles is the age-old craft of sand art. Remember how I’ve got a random, 1950s-era glass bottle dump in the back of my woods? Well, with the fun of hiking out into the woods every now and then to scavenge glass bottles comes the burden of having to figure out what to do with them! 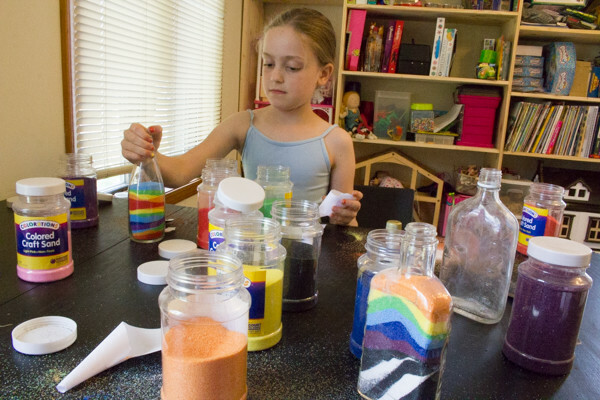 We’ve decoupaged them, turned them into vases, painted them with chalkboard paint or color washes, put candles in them, and countless other things, but one of my children’s favorite projects to do with these vintage bottles is the age-old craft of sand art. 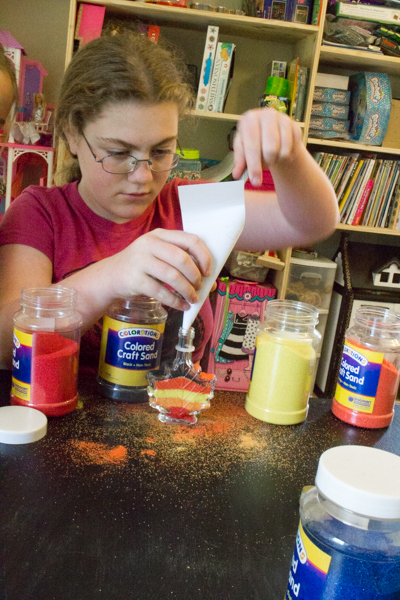 We go through a lot of colored sand, so we use these store-bought sets of colored craft sand; it is possible, however, to color your own sand with grated chalk as a more eco-friendly option. The vintage glass bottles should be thoroughly cleaned and dried, of course. 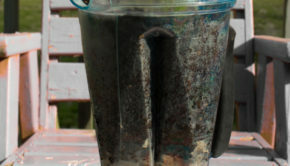 I still use this method for cleaning vintage glass bottles, although I’ve also taken to scrubbing out the insides of the extra-filthy bottles with a bottle brush and a little dish soap. The kids and I make funnels out of scrap paper from our recycling bin, held together with a little Scotch tape. 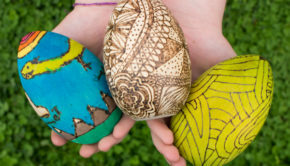 After that, the process is dead simple: just make some art! The only tricky thing to remember is that you should always fill your bottle all the way up! Otherwise, it takes just one fall, or even a careless shake, to ruin the entire creation. Sometimes, kids get bored before completing their entire bottle. 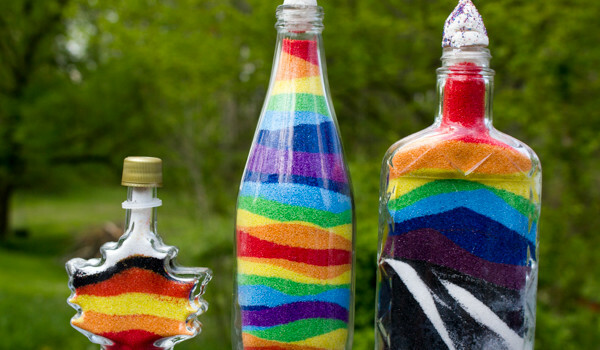 If that happens to you, just fill the rest of the bottle with plain or white sand for the kid, and their art will still display nicely. 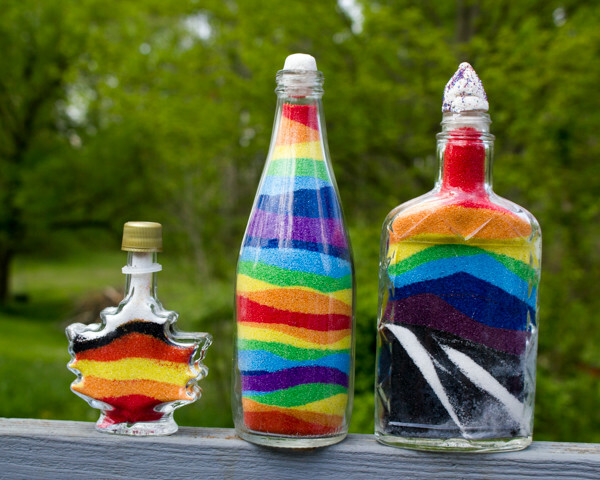 Most vintage bottles don’t still have their lids, but fortunately, air-dry clay is an easy substitute for a lid; just roll it into a snake, fit it into the mouth of the bottle, then make the top of the stopper look decorative. 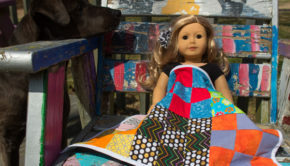 Love all the different colors! 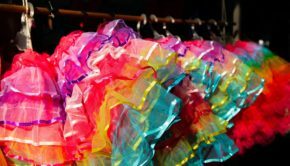 I remember doing this in cheap plastic bottles with my grandma!